100 Years of Russian Revolution – IV: Was Indira Gandhi a Soviet Agent? Indira Gandhi never cared where the money came from. She was just interested in getting more and more for running the Party. However, it is very difficult to believe that she was not at all aware that a large part of this money came from the Soviet Union, from the KGB. In 2005, an otherwise dry academic book called The Mitrokhin Archive, about the activities of the KGB in Third World countries, created an unlikely political uproar in India. One might wonder what could have possibly piqued the interest of an ordinary Indian politician in the activities of the secret agency of a faraway country of a bygone era. The answer is very interesting. The book claimed that many of the top leaders, diplomats and statesmen of Congress were working as the agents of the KGB, the Soviet secret service. The rot was deep and politicians very high up in the ladder in the Congress Party were directly passing secrets of India’s activities to the Soviet Union. The book claimed that even the personal office of the then Prime Minister of India, Indira Gandhi, was deeply compromised and infiltrated by the Soviet secret agency. The Indian secret operations, in other words, were an open book for the communists in the Soviet Union. They were in a position to manipulate India at will. 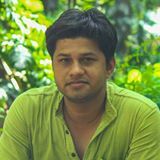 A few newspapers like The Hindu published reports about the uproar and the book, summarizing its contents in pithy lines. The Congress politicians dismissed the charges in righteous indignation. The contemptuous outrage they showed at the charges, without any effort to explain them away, tallied with their customary behavior whenever facing criticism on the grounds of compromising national security. In 2005, the UPA-1 had just come to power. The government was drunk on its ‘success’ in the 2004 elections. The left-leaning Indian media, the hand maiden of the Congress Party was all too happy to brush under the carpet any news portraying the Congress Party and its most hallowed totem, the Gandhi family, in bad light. Soon the issue was hushed up and Indians promptly forgot all about it. The charges in the book, however, were extremely serious. That even the highest echelons of government and other institutions were compromised and that Indian foreign policy was an open book for half of the world to see is something which should put even a banana republic to shame, let alone the largest democracy in the world. It is a charge which deserves to be examined again. Who was Mitrokhin and what is the Mitrokhin archive? 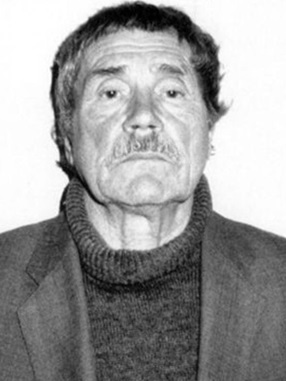 Vasili Mitrokhin was a senior archivist in the Foreign Intelligence department of the Directorate of the KGB. His job, in the pre-internet era was to archive the secret reports. He was a low level officer in the department and was usually kept out of important meetings of the secret agency, but due to his special assignment of archiving records he was privy to the dirtiest secrets of the Soviet Union, the KGB and their activities all over the world. Being a man of conscience, a rarity in a harsh and punishing regime like Soviet Union, Mitrokhin thought of duplicating the archives for himself. Mitrokhin ‘spent over a decade making notes and transcripts of these highly classified files which, at enormous personal risk, he smuggled daily out of the archives and kept beneath its dacha floor.’  Like Solzhenitsyn, he had a premonition that someday he would able to tell the world about the nefarious activities of the communist country which claimed to be the Heaven on Earth. In 1992, after the fall of the Soviet Union, Mitrokhin migrated to the United Kingdom and handed over the archives to the competent authorities. In 1999, the first volume of The Mitrokhin Archive was published with the renowned historian Christopher Andrew focusing on the activities of the KGB in the West. In the second volume, KGB’s activities in the Third World were covered. One of the most important chapters of this book was the one concerning with KGB’s activities in India. The authenticity of the Mitrokhin archive has been proven, as hundreds of its stories about the secret agents of the KGB across the world have been independently corroborated. What then did the Mitrokhin archive say so bad about the Congress Party and Indian government that it had to be hushed up in angry sermons? This is not a place to discuss the atrocities of the communists in the Soviet Union, but suffice it to say that the Soviet Union built the greatest array of concentration camps known in the history of human kind and killed more people than the Nazis killed in the Second World War. Even then, the Congress Party led by Nehru was in thralls with the Soviet Union. The KGB was apparently grooming Menon for being the successor of Nehru. Menon, it clearly looks like, played by the Soviet tune. Many pro-Soviet diplomatic and defense decisions were taken during his tenure. However the Indo-China war of 1962 seriously dented the reputation of Nehru and most of all Menon; consequently he fell from grace. The KGB had to find another way to infiltrate Indian government and influence policy decisions. In 1966, Indira Gandhi became the Prime Minister of India. The KGB had been trying to influence Indira Gandhi from 1953 when she visited Soviet Union. Christopher Andrew writes: “As well as keeping her under continuous surveillance, the Second Chief Directorate also surrounded her with handsome, attentive male admirers.” [Mitrokhin, 316] The attention showered on her made obvious impression and she had a very good image of Soviet planning and economic model. The KGB did not just limit its activities to recruiting prominent Indian politicians. It also tried to influence the outcome of elections by financing communist or pro-Soviet candidates. As a result, the new cabinet under Indira Gandhi was more pro-Soviet, pro-Communist than any before. Meanwhile Indira Gandhi, in order to increase her clout within the party, was planning for a split which would oust the Congress stalwarts who opposed her. This is when she decided to get the support of the left wing. She nationalized fourteen commercial banks. Many new appointments were made in prominent institutions all over the country and ideological communists and Indira loyalists were cherry picked and air dropped into their new positions. The communists however did not leave any stone unturned. Not willing to bet everything on Indira Gandhi, the CPI infiltrated Congress Forum for Socialist Action and subverted the party to the Left, from within. The Congress Party had taken an irreversible turn to the Left. The KGB had no small role to play in that. The influence of the KGB in India in 1970s was steadily increasing under Indira Gandhi’s reign. The illegal residency of the Soviet secret service was upgraded to the status of ‘main residency’ in those years. Directly or indirectly Indira Gandhi was getting influenced by Soviet propaganda and was moving towards increasingly more socialist policies, mostly under the influence of her compromised ministers and advisors. Indira Gandhi never cared where the money came from. She was just interested in getting more and more for running the Party. Although it is very difficult to believe that she was not at all aware that a large part of this money came from the Soviet Union, from the KGB. The principal fundraiser of the Congress Party, Lalit Narayan Mishra was in cahoots with the KGB and many shady organizations for procuring funds for the Party. In 1975 around the KGB spent around 11 million rubles to build support for Indira. The KGB spies inside Indira Gandhi’s cabinet and in the media also had a role in influencing Indira to declare Emergency. In 1977, despite the efforts of the KGB, Indira Gandhi was defeated. Even after the defeat, the KGB kept up its efforts to revive Indira’s faction of Congress with more communist participation. For this a KGB agent under cover as Trud correspondent got into touch with her. Massive amount of funding was funneled into various fronts floated by Indira’s Congress by the KGB. When Indira returned to power in 1980, she tried to renew her contact with a KGB operative Cherepakhin. Whether Indira Gandhi was directly a KGB recruit and a Soviet spy is not clear from the available evidence right now and may never be exactly known; but what is clear is that she received funds from dubious sources, floated many fronts for that specific purpose and many of her closest advisors and ministers were either KGB recruits or worked in collusion with them. Regarding the closeness of these Soviet recruits to her it is hard to believe that she did not know that they were foreign spies. Even though, Indira Gandhi was not directly a Soviet spy, she did not care if the money to run her party came from the KGB. Neither did she care that in return the communists virtually made a coup of the entire nation and occupied every important position in all political, academic, judicial, executive and media institutions of the country. Like, Christopher Andrews said: “The entire country was up for sale”, and Indira Gandhi sold it to the communists. Andrew, Christopher & Mitrokhin, Vasili. 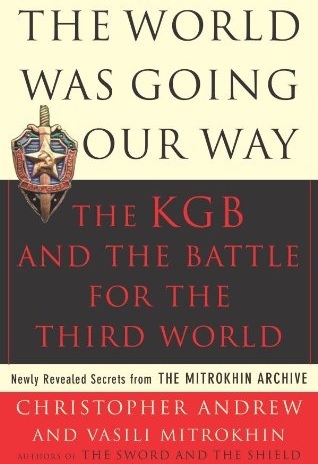 The World Was Going Our Way: The KGB and the Battle for the Third World. Basic Books, 2005. Front Jacket. Kalugin, Oleg. Spymaster: My 32 Years in Intelligence and Espionage against the West. Smith Gryphon, 1994. p. 126-7.